This 22–25 April, the Trinidad & Tobago Film Festival (TTFF) will present the inaugural Tobago Jazz Film Festival — a celebration of music and Tobago through film — as part of the Tobago Jazz Experience. Dancehall, jazz and classic Cuban music all finding a place in the lineup. The line-up of open-air screenings includes projects by Tobagonian filmmakers alongside international films with a focus on music. Supported by after-parties and limes, dinner with the movies, prize giveaways, and an industry workshop for Tobago-based filmmakers, there is something for everyone (aged 16 and over) in this film festival. Admission to all events is free. And don’t forget to check out Discover Trinidad & Tobago for more on what to see and experience in Tobago during the Jazz Experience and Film Festival! The Tobago-made short film Redman — about Jerry, a young man who is confused about what women want — is made by Tobagonian screenwriter, film director, and actor Jared Prima. It’s a humourous look at colourism, and male preening and pretensions in Caribbean society. Dancehall Queen, a full length feature film from Jamaica, tells the story of Marcia, a single mum and street vendor barely scraping by — even with financial assistance from Larry, a gun-toting strongman with a twisted desire for Marcia’s teenage daughter, whom he pursues. The films will be followed by a dancehall afterparty. 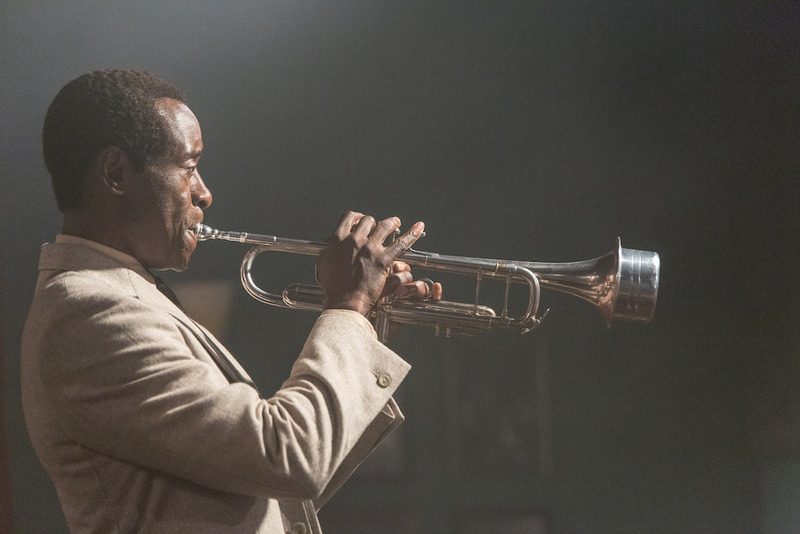 Jazz takes centre stage on Monday, with a feature film about a fictional moment in the life of jazz legend Miles Davis, starring Don Cheadle in the lead role. In Miles Ahead, we follow the escapades of Davis who, in the midst of a prolific career, suddenly disappears from public view for five years in the late 1970s. He is living in isolation while dealing with chronic pain from a deteriorating hip, a musical voice inhibited and numbed by drugs and painkillers, and traumatic memories of his past. A music reporter, Dave Braden, forces his way into Davis’ house and, over the next couple of days, the two men unwittingly embark on a madcap adventure to recover a stolen tape recording of the musician’s most recent compositions. Viewers will be familiar with Don Cheadle, who has appeared in numerous blockbuster films including Iron Man, Ocean’s Eleven, Hotel Rwanda, Crash, and Traffic. Miles Ahead is also his directorial debut. Miles Ahead is preceded by the short film Glass Bottom Boat. Made by filmmaker and photographer Kyle Walcott — who was born in Trinidad and raised in Tobago by his grandmother — it is the true story of Janet Wells, who came to Tobago on vacation with her sister and fell in love with a local fisherman, Galla. The film is an honest recollection of her time in Tobago with the love of her life, as Janet relives her journey of joy, pain, and healing. The Festival ends on a romantic note. The night kicks off with the Tobago-based short film, The Resort, which comprises three vignettes that follow a young man as he sells love for a living. Made by Shadae Lamar Smith, who was born in Miami to Caribbean parents, The Resort was shot entirely in Tobago. 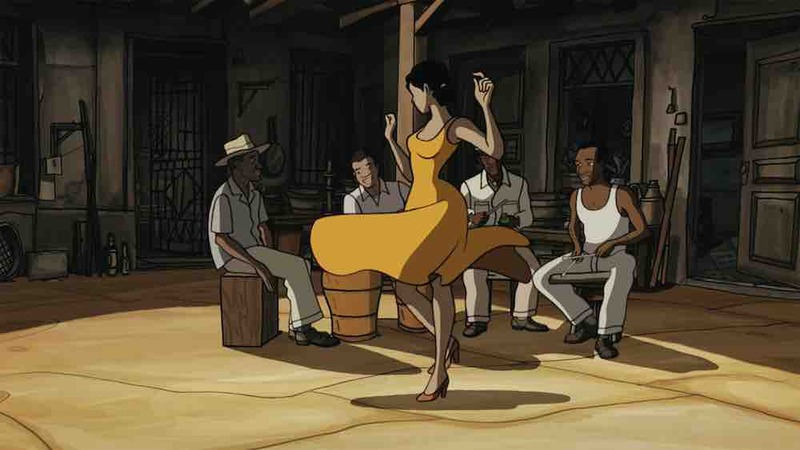 Set in 1950s Havana, the animated film Chico & Rita follows the gifted and ambitious songwriter, piano player, and bandleader (Chico) and the beautiful singer with the extraordinary voice (Rita) as they chase their dreams — and each other — across the globe, from Havana to New York, Paris, and Las Vegas. Music and romantic desire unite them, but their journey brings these young musicians heartache and torment. It is a majestic love story rendered in beautiful, bold animation, with original music by the renowned Cuban musician, Bebo Valdés.